Rumor has it the iPhone 8, likely due out nearly a year from now sometime next September, will ditch the bezels around the display entirely. 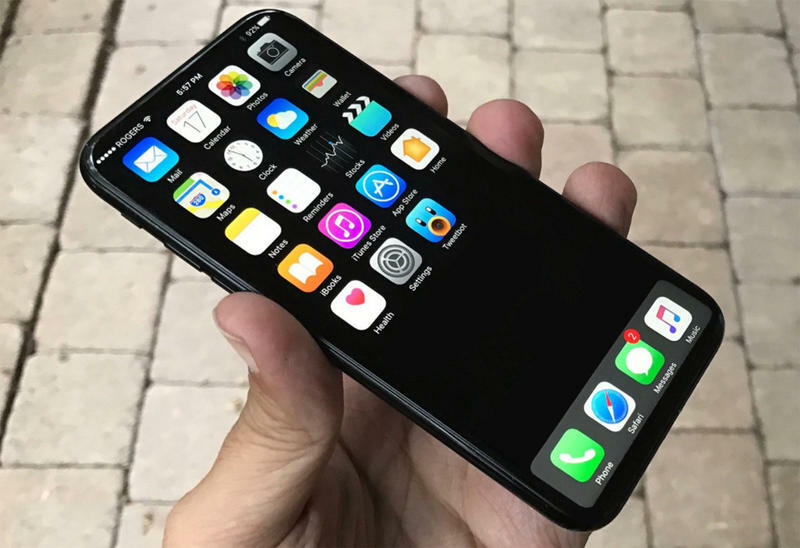 That means the iPhone 8 may have a screen that takes up the entire full front surface of the smartphone, without anything else on the sides, top or bottom of the screen. Now a new concept created by Veniamin Geskin shows us what that could look like. Several firms have attempted this style. Sharp’s Aquos Crystal only had a bottom chin, for example. More recently, the Xioami Mi MIX was unveiled with a similar design. The iPhone 8 may take things a step further by completely removing the bottom chin of the phone, however. That’s what you can gather from the concept above. The home button, if Apple moves forward with tech that actually exists, could sit under the glass panel of the screen, allowing a user to verify his or her identity with a fingerprint reader that’s not visible when not in use. That might sound like something out of a science fiction film, but it’s real. Synaptics’ ClearForce technology is one example. Given that Apple moved away from a hardware button on the iPhone 7 and iPhone 7 Plus, it’s actually possible and even probable that it pushes forward with this sort of technology, too. One issue I have with the concept above is that it basically looked like an iPhone 7 without any bezels. That goes against reports that Apple is actually going to drastically change the look of next year’s iPhone. It’s due time, too, since Apple hasn’t really done that since the introduction of the iPhone 6. I dig the idea of this sort of form factor, but I hope Apple’s able to keep features that I still like, such as the front-facing speakers and the front-facing camera. Can it sneak those under the display, too? I’m also curious what day-to-day use will be like. Will I have more fingerprints on the screen? Probably. How will I game without my hands getting in the way? Maybe it won’t be that big of a problem. For now, enjoy the concept images above.